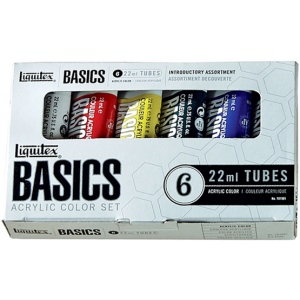 A heavy body acrylic with a buttery consistency for easy blending. * It retains peaks and brush marks and colors dry to a satin finish eliminating surface glare. 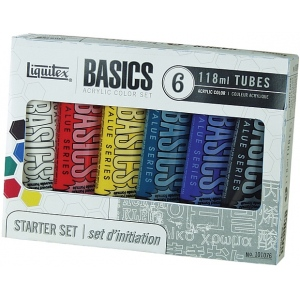 * The perfect introductory set containing six Basics colors in 22ml tubes: Cadmium Yellow Medium Hue Mars Black Phthalo Green (blue shade) Ultramarine Blue Naphthol Crimson Titanium White.